In addition to the new Android-driven phones that were introduced at this year's Mobile World Congress, Alcatel has also launched a low-end tablet that comes in two form factors. The Alcatel 1T 7 and the Alcatel 1T 10 come with Android 8.1 Oreo onboard and can provide a battery file of up to 15 hours on a single charge. This slate will soon be available for purchase starting at 69.99 EUR (around US$86). Although there are no high-end devices to talk about, Alcatel has a strong presence at this year's Mobile World Congress. 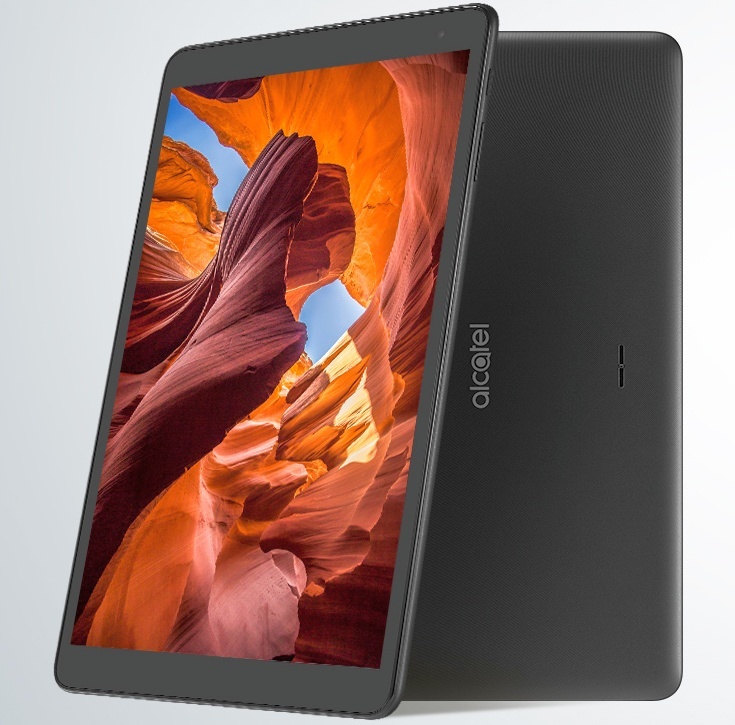 In addition to the Android Go-driven Alcatel 1X and the other new Android handsets revealed in Barcelona, Alcatel has also unveiled an affordable tablet. Available in 7- and 10-inch sizes, the Alcatel 1T slate comes with pre-loaded content and apps for kids and feature an eye-friendly mode called Eye Care that reduces the amount of blue light generated by the display. Both models come with Android 8.1 Oreo installed and can only be acquired in bluish black or premium black finish. Although the battery capacities are not impressive, the Alcatel 1T can be used as a power bank to load other USB devices. The prices are 69.99 EUR for the 7-inch model and 99.99 EUR for the 10-inch Alcatel 1T (about US$86 and US$122). Alcatel also has a flip cover and a keyboard case listed on its website, but these accessories have no price yet.